Today I’ll show you 4 ways you can bulk check if a set of backlinks are still linking to your website; in addition to that, you’ll learn if they use the rel=“nofollow” tag and how to be updated automatically should either of those things ever change. Checking if backlinks are live is one of those things that as SEOs we find ourselves doing a lot. If you’re still doing this manually, you’re doing it wrong. There’s lot’s of tools out there, that can automate this. Some are paid and some are free. BuzzStream is my tool of choice when it comes to monitoring links, so that’s the one I’ll go into more detail on how to use. BuzzStream is a paid tool but it’s well worth it. Even if you don’t use BuzzStream for the outreach part, you should still use it as a database for any links you build. If done correctly, you can put your business at the top of Google without building a single link. Using Google plus, you can create filter bubbles to ensure that your content not only gets to your customers but it’s more likely to appear at the top of the search results when they need it most. Before reading, watch this video by Eli Pariser which explains the principles of filter bubbles. 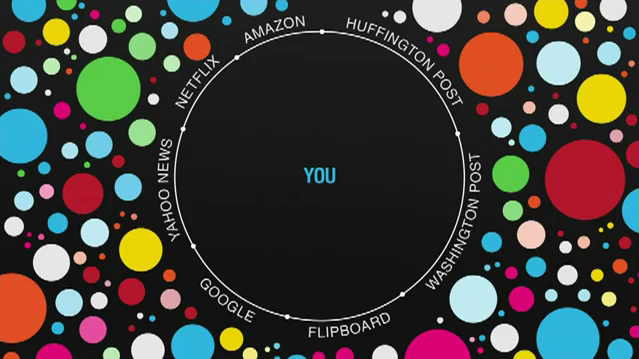 A filter bubble is a virtual membrane that decides what content you get to see online. The command line can look very intimidating if you’ve never used it before. By the very nature of the command line the interface is basics but when you know how to use it, it can be very powerful. Even learning the basics of the command line can quickly make the terminal into one of your greatest tools. As an SEO you should learn to love the command line, once you get over the fact that it’s ugly and looks like something out of the matrix it can make your job a lot easier. What takes you hours in Excel can take you second in the command line. If you don’t know what Screaming Frog is, (then where have you been!?) It’s a tool that lets you crawl an entire site on demand. But that’s not all it’s good for...I was recently working on a clients site and I found myself turning to the tool more and more for tasks other than the standard crawl feature. I thought it might be useful to put together a list of other ways to use Screaming Frog. I recently wrote a post on how to do a site audit using Webmaster Tools. I’m a big fan of its features, but I find that the GWT doesn’t update the crawl errors frequently enough. This means there are often things like 404s reported when they’ve actually already been fixed. I’ve been using Screaming Frog to solve this problem. Below is my new process for 404s and other common errors. Crawl the entire site and put all 404s into a spreadsheet. SEO is one of those industries that makes you want the latest and greatest tools. I think this is partly down to SEO still being a bit of a black box and partly just people looking for the magic bullet that will rocket them to the top of the SERPS. While the search engines are always changing, it’s fair to say that for a long time the basics have more or less stayed the same. With that in mind I thought I would do a post on how to do a site audit using only the basics, Google webmaster tools and Google search.